Are important things around the house slipping through the cracks? Setting priorities may help. 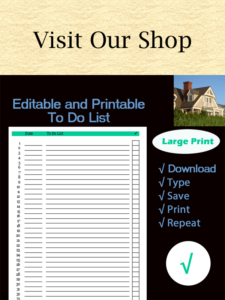 Here’s a printable chart for you to track your priorities. The Priorities List was designed for you to write down the top 10 things that need to get done in one week. We recommend printing it on the weekend, so that you can set your priorities for the upcoming week. List the items that absolutely should get done this week. We know you are busy and have a long to-do list. This Priority List is for the top 10 items that you really need to accomplish this week. Give the Priorities List a try, and see if it helps. 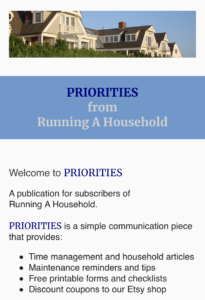 This entry was posted in Time Management and tagged free printable priorities, large print setting priorities, priorities for week, time management running household, time management setting priorities on May 30, 2013 by Running A Household.